Well today is the day the Stampin' Up! 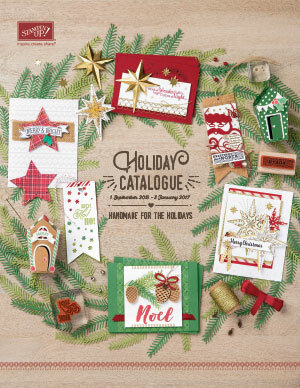 Holiday Catalogue is live! Yay!! Have a look and do let me know if you would like me to place an order for you. I have started up a Facebook page called Getting Crafty With Jude. Please send me a request to join our group to see what I have been making and what my group of lovely crafty ladies have been doing in our woorkshops. We would love for you to join us there.